This is for new Representatives for their first 4 campaigns. 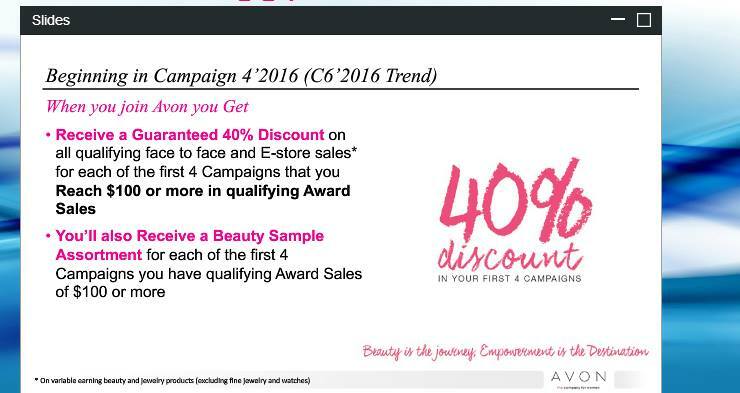 You are guarantee 40% either through your FREE e-store or your customers with orders totaling a $100. Come join the fun . I would love to be your mentor and help you get your business started.